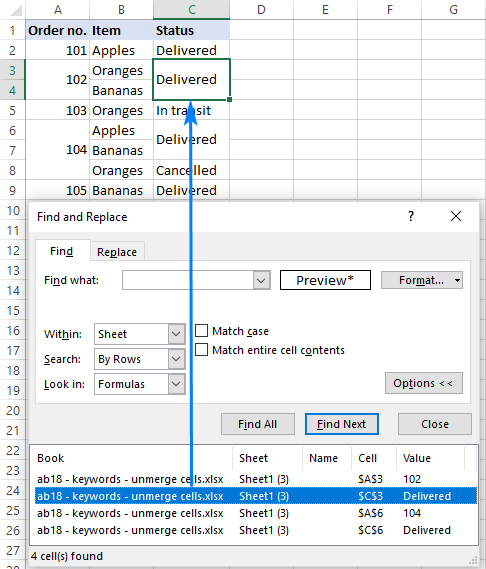 This short tutorial shows how to quickly unmerge cells in Excel, how to find all merged cells in a worksheet, and how to fill each unmerged cell with the original value from the merged cell. When you have related data in several cells, you may be tempted to combine them into a single cell for alignment or comparison purposes. So, you merge a few smaller cells into a bigger one only to realize that merged cells have made it impossible to perform the simplest tasks on your worksheet. 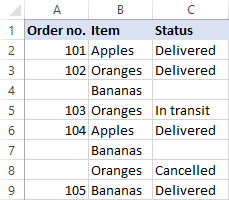 For example, you cannot sort data in columns that have at least one merged cell. Filtering or even selecting a range might also be a problem. 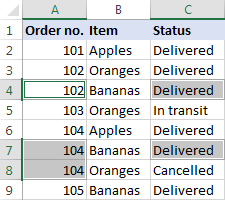 Well, how do you unmerge cells in Excel to get things back to normal? Below, you will find a few simple techniques. Select one or more cells you want to unmerge. On the Home tab, in the Alignment group, click Merge & Center. 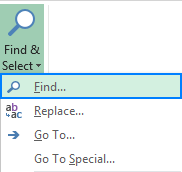 Or, click the drop-down arrow next to the Merge & Center button and select Unmerge Cells. At first sight, the task may seem cumbersome, but in fact it takes only a couple of mouse clicks. Select the entire worksheet. For this, either click the little triangle in the upper-left corner of the worksheet or press the Ctrl + A shortcut. 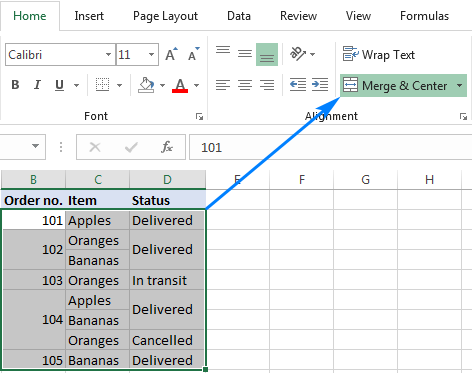 If it is highlighted, click it to unmerge all merged cells in the worksheet. 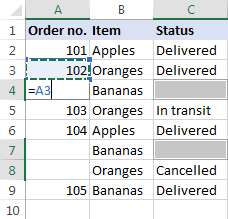 If it is not highlighted, there are no merged cells in the sheet. Select your table (or just the columns that have merged cells) and click the Merge & Center button on the Home tab. This will split all merged cells, but only the upper-left unmerged cells will be filled with data. Since you want to fill all unmerged cells that are currently blank, press Ctrl + Enter to enter the formula in all of the selected cells. Tip. 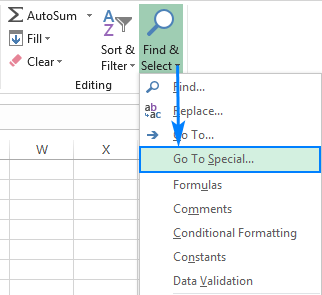 If you wish to have only values in your dataset, replace formulas with their results by using Paste Special > Values. The detailed steps can be found in How to replace formulas with their values. Text to Columns - allows splitting text strings by a specified delimiter such as comma, semicolon or space as well as separating substrings of a fixed length. Flash Fill - a quick way to split relatively simple text strings of the same pattern. Formulas to split text strings and numbers - best to be used when you need a custom solution for a specific dataset. Split Text tool - the tool to try when all of the above methods have failed. It can split cells by any specified character or a few different characters, by string and mask (a pattern that you specify). When the contents of the merged cells are split into individual cells, you are free to unmerge cells or delete the merged cells altogether. You already know that merged cells are something you should avoid in your Excel worksheets. But what if you have been given a poorly structured spreadsheet and you are trying to convert it into something useful. The problem is the sheet contains a fairly big amount of merged cells you don't know about. Press Ctrl + F to open the Find dialog box. Or, go to the Home tab > Editing group, and click Find & Select > Find. Switch to the Alignment tab, select the Merge cells check box under Text control, and click OK.
Find Next to get to the next merged cell. Find All to get a list of all merged cells. Tip. 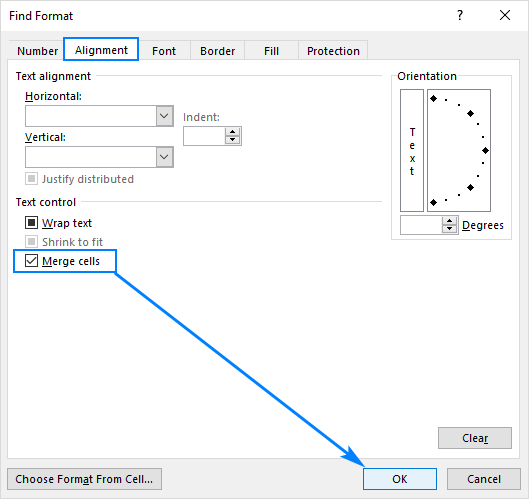 In case you are just curious if there are any merged cells in a specific range, select that range and cast a glance at the Merge & Center button. If the button is highlighted, that means there is at least one merged cell in the selected range. 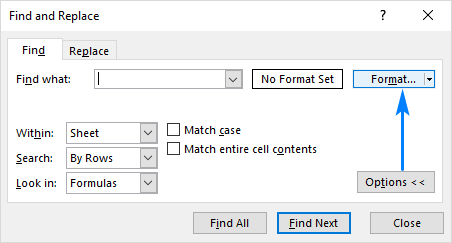 That's how you unmerge cells in Excel. I thank you for reading and hope to see you on our blog again next week! 5 Responses to "How to unmerge cells in Excel"
can you tell us i am not able to write 4-8 this kind of value in excel. because it has been automatic date format. but i don't want date. please help me out. Excel assumes you are entering a date and converts the input to the Date format. To prevent this from happening, apply the Text format to the cell, and then type a value like 4-8. Thanks, for the tips. I run into the issue of not being able to sort a worksheet that had merged cells. You gave me a simple but elegant solution! 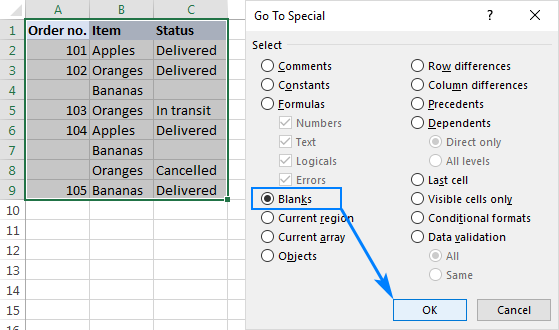 Best 2 tips EVER for Excel data management!! Saved hours and hours. Thank you so much.